Essentially a philanthropist, Good Samaritan, visionary and a seasoned politician, Sri Ram Tahal Choudhary is a person who dares to dream big and commands the ability to realize it. He dreamt of an educated elevated society and left no stone unturned in materializing the same. A five-time MP from Ranchi, he is a man of utmost integrity and sincerity. He is identified as a significant force in transforming the very fate of education in the state. The GAV SAMITI took shape over 40 years ago under his able tutelage and went about constructing school, Intermediate, Degree and B.Ed. College (about 40 such till now) and of course, a technical college as well in 2008. The unprecedented success of all these institutions has been possible due to the constant emphasis on appropriate, meaningful, systematic and quality education leading to excellent result and consequently wonderful future prospects. RTC Institute of Technology is his brainchild wherein he abides to put his maximum effort and fervent interest for perennial growth and development. RTCIT has the best captain for its crew. It has a very highly educated, extensively travelled, immensely experienced and a charismatic individual in the persona of Mr. A. P. Singh. He is indeed the main architect behind the shaping up of RTCIT and has truly carried forward the legacy of Sri. Ram Tahal Choudhary. Because of the exuberant vigour and untiring efforts of Mr. Singh, RTCIT has burgeoned in a short span of time. Be it the architecturally majestic buildings, the ever-advancing system or the state-of-the art ambience, it all bears a stamp of its distinguished Director. He has been working day and night to make sure RTCIT reaches even greater heights. An unassuming, tenacious and upright man, he is dedicated to create a vibrant environment to promote academic excellence. He has been instrumental in inducing innovative administrative practices, latest teaching methodologies and infrastructure of international standards, previously unknown in the state. Prof. Avinash Chandra Sinha did his B.Sc. in Chemical Engineering from BIT, Sindri in 1970 and M.Tech. from IIT, Kharagpur in 1974. He has over 40 years of experience in leadership roles in the areas of manufacturing, project management, product development and education across industries like non-ferrous metal, atomic energy, petroleum coke and technological institution. 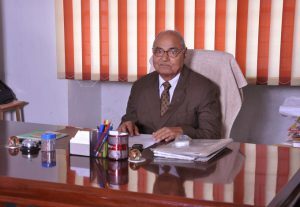 Prof. Sinha has most ably led Profit centers/SBU, focused on cost control, process and productivity improvement, on-time project delivery and increasing revenue/profits in the Industries like Hindal co Industries Limited, Renukoot (UP) and Muri (Jharkhand), Uranium Corporation of India Ltd. and H.D.C. (West Bengal). These all bear an everlasting stint of Prof. Sinha as an efficient and competent personality. A nonpareil, perky and past master, Prof. Sinha has been performing the grueling task of fetching laurels to RTCIT for the last seven years. Dr. Shambhu Nath Prasad, an engineering graduate from NIT, Jameshedpur, has done Masters from IIT, Kanpur and Ph.D. from IIT (BHU). He has a very long experience in Research and Development Center of Steel Authority of India Ltd. (SAIL) “A Maharatna Company”. He has contributed in several new products development and process optimization which have resulted in substantial benefit to SAIL and other organizations of the country. 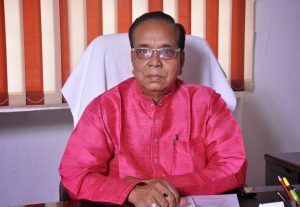 The recipient of “Indranil Award” for outstanding contribution in ferrous metallurgy has numerous research publications in reputed national and international journals. He has also been a reviewer and editor of numerous national and international journals. 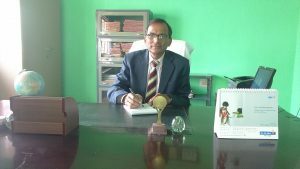 Dr. Prasad has eight patents mostly as first inventor mainly on weather resistant steel, LPG steel and strap steel which are for general public use. He had been a member of board of studies in NIFFT, Ranchi. He is a member of several national and international institutions such as IIM, IIF, MGMI & AIST.